It was like any other day on the Anna University campus in Chennai. I had delivered a lecture Vision to Mission and the session got extended from one hour to two. I had lunch with a group of research students and went back to class. As I was returning to my rooms in the evening the vice- chancellor, Prof. A. Kalanidhi, fell in step with me. Someone had been frantically trying to get in touch with me through the day, he said. Indeed, the phone was ringing when I entered the room. When I answered, a voice at the other end said, The prime minister wants to talk with you ... Some months earlier, I had left my post as principal scientific adviser to the government of India, a Cabinet-level post, to return to teaching. 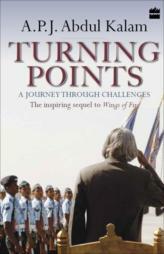 Now, as I spoke to the PM, Atal Bihari Vajpayee, my life was set for an unexpected change.